Played a quick Showdown skirmish with my kids. 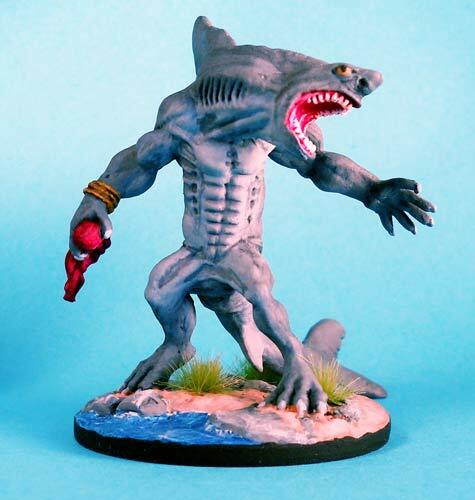 A small band of pirates came ashore to refill water barrels and find themselves attacked by a wereshark . These are the stats that we used. The mini is a Reaper miniature, (65076). Base is a washer with Procreate texturing added. It was fun to paint and made for an enjoyable skirmish. 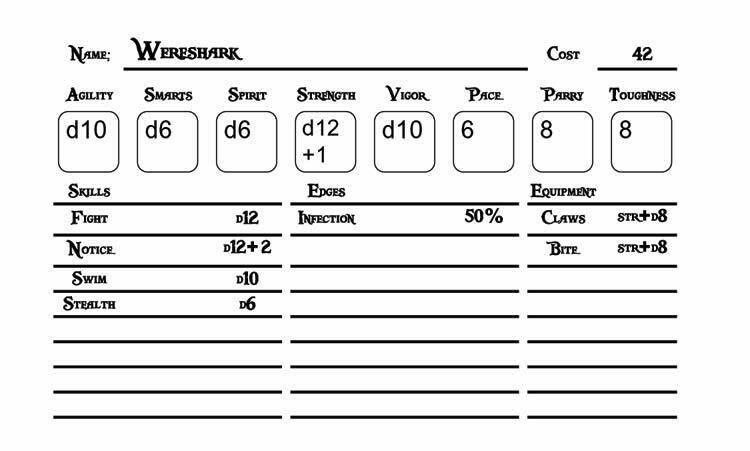 The kids got some lucky rolls right off the bat and so the wereshark fell to the adventurers.